To migrate an account you can click on transfer tools. You need to fill the remote servers IP address. I.e old server. You can refer the below image for the same. 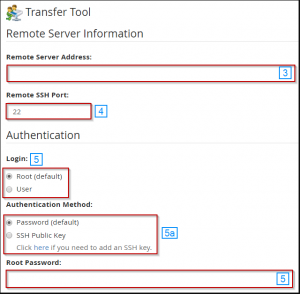 Go to tools and settings>>Migration and transfer manager and click on start migration button. Enter the required details such as remote server hostname or IP and the server’s username and password. Enter the path to of the data.